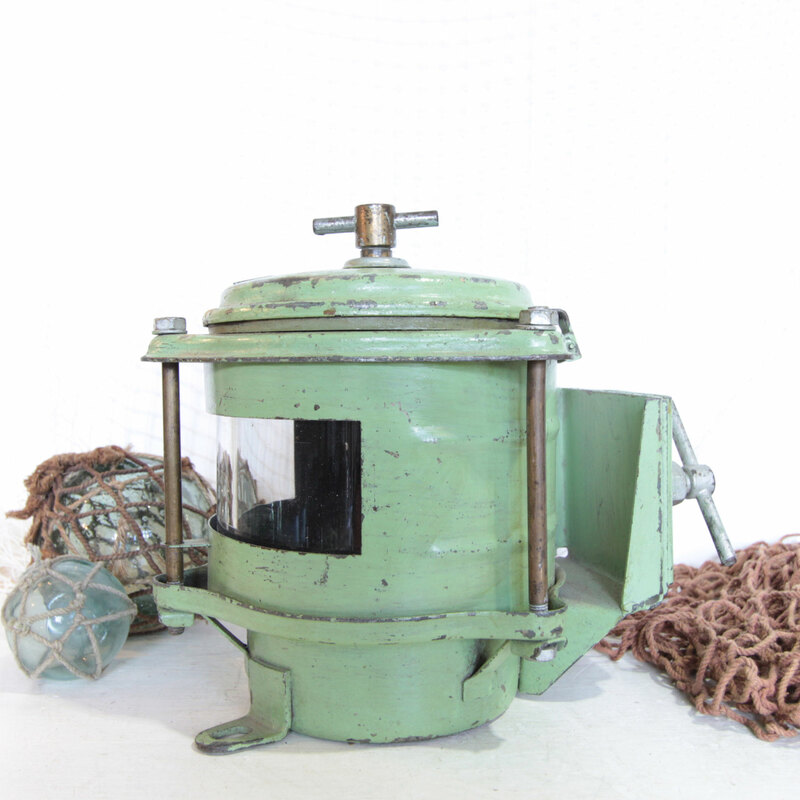 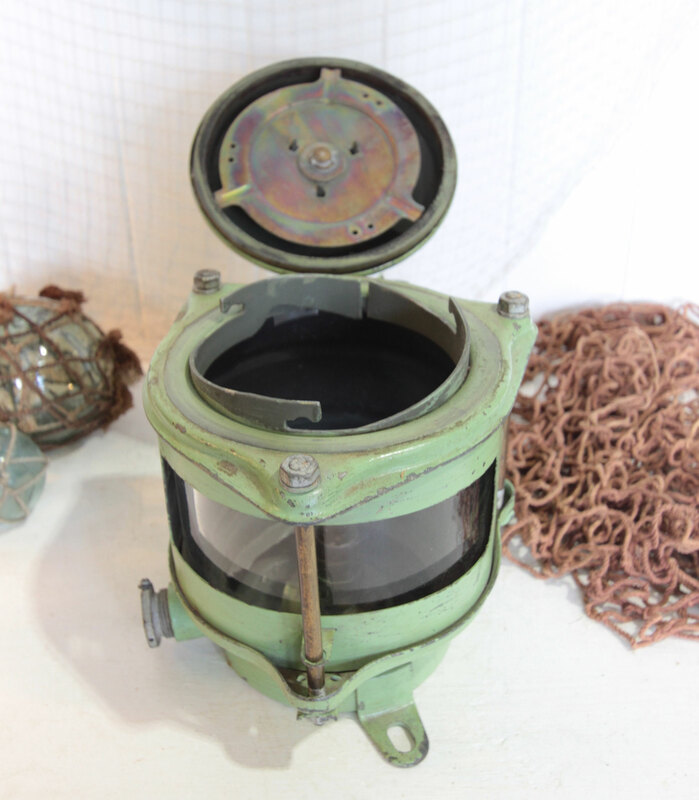 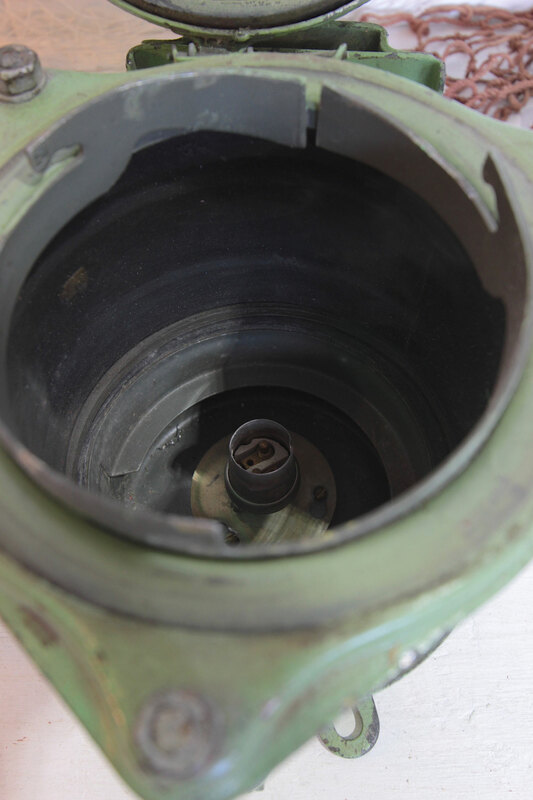 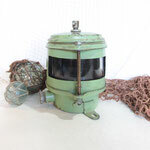 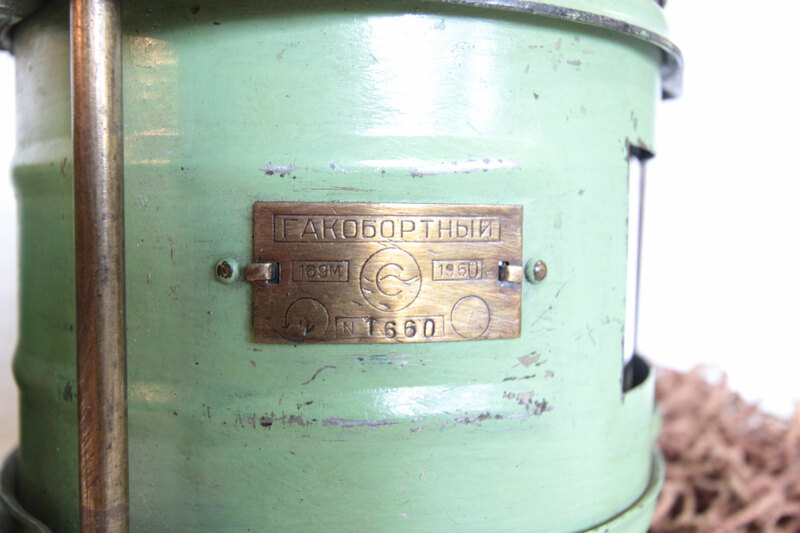 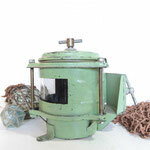 This cold war era Russian ship's lantern is such an interesting find! 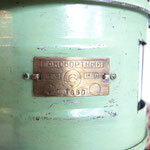 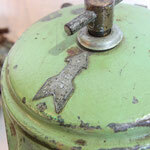 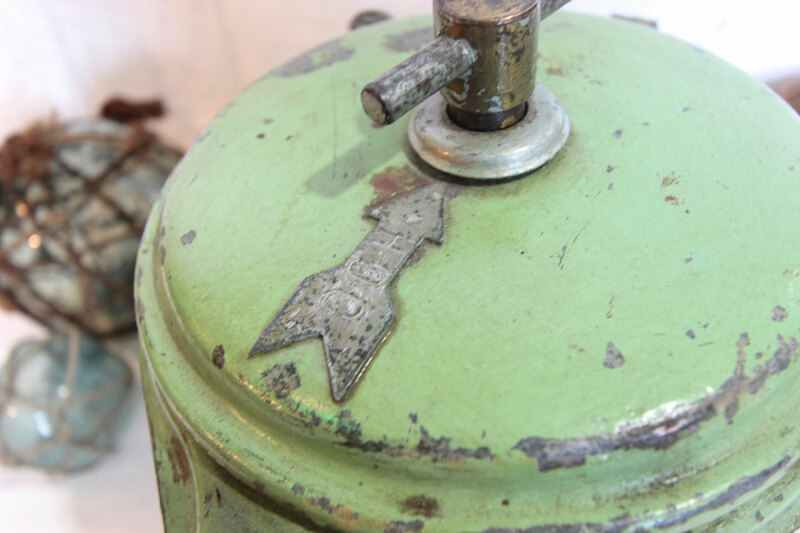 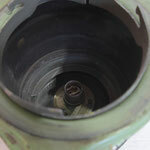 Made in 1960, it has been painted a lovely soft green, which has worn away in parts to reveal the metal beneath. 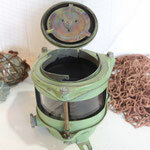 A great display piece as it is, or have it re-wired by a licensed electrician and use it as a lamp.